Published Tuesday, June 16, 2015 · 1015 words, 5 minute read. I recently saw a blog post on someone getting 5,000 stars in less than 24 hours, and I wanted to top it. I was able to get ~1k/10min. The first part goes to the join page and gets all the fields and fills them in. This works because GitHub doesn’t require email verification before you can do stuff. 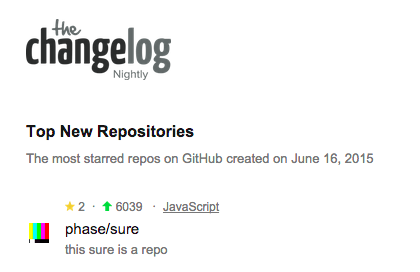 Next, I go to a repository and hit the star button. Using this there is also a bunch of other stuff we can do. This will get the follow button and click it. To generate random usernames, I made a quick character frequency algorithm. Using HtmlUnit, you can essentially hack any website to your needs. Except Twitter, they require phone verification.